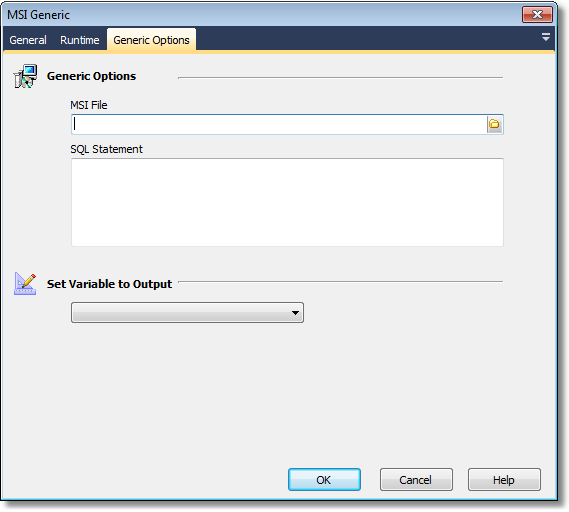 The MSI Generic action enables you to modify an existing MSI database file using standard SQL statements against the internal tables. The location of the MSI file to manipulate using the SQL Statement. The statement to be executed against the MSI database.